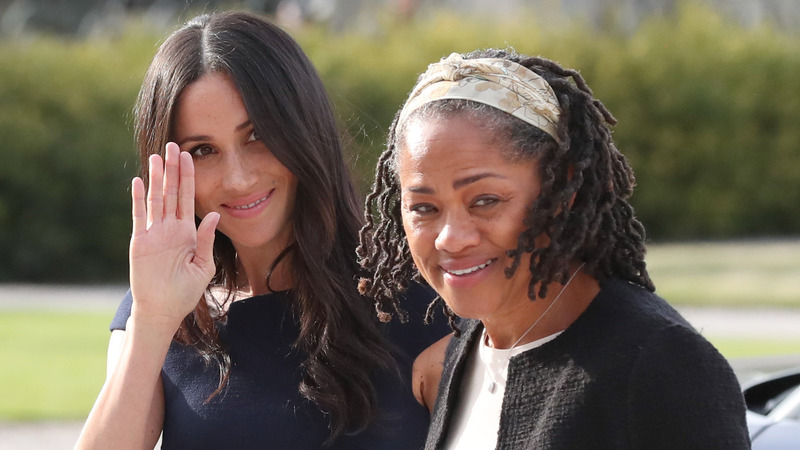 Will Meghan Markle’s Mom, Doria Ragland, Move in With the Royals? The former Meghan Markle — now Meghan, (the pregnant) Duchess of Sussex — is reportedly hoping her mom, Doria Ragland, will be crossing the pond from Los Angeles to England to help her when the newest royal arrives in the spring. The Duke (Prince Harry) and Duchess of Sussex are in the process of bidding farewell to London and moving to Frogmore Cottage (a name J.K. Rowling is surely regretting not working into her Harry Potter series). Kensington Palace announced the news of the move on Saturday in a press statement. Frogmore is located in Windsor, England, right by the house where their engagement photo shoot and wedding reception were held. “Windsor is a very special place for their royal highnesses and they are grateful their official residence will be on the estate,” a palace statement read, according to Us. And don’t be fooled by the charming “cottage” description. Frogmore is no doubt plenty charming, but it’s a sprawling manse, with plenty of room for a doting grandma. Currently, Duchess Meghan and Prince Harry reside in a home with only two bedrooms at Kensington Palace (how dreadfully common of them). Frogmore Cottage boasts 10 bedrooms. Not a bad move for a growing family — not at all. Another source told the magazine city living is not this royal couple’s style. “[They] never loved living in London. They enjoy their time in the country much more than the city and feel at home there,” the insider said. And we’re guessing Meghan’s mom will also feel right at home at Frogmore near her daughter. Of Meghan’s pregnancy, Ragland is said to be “very happy about this lovely news” and looking forward “to welcoming her first grandchild,” according to a Kensington Palace statement in October. And a royal insider dished to Us that Ragland is also likely to be spending the holidays with her daughter and new son-in-law (along with the rest of the royal family) at the queen’s Norfolk estate, Sandringham. “It is very likely Doria will be at Sandringham for Christmas and will be spending the holidays with Harry, Meghan and other members of the royal family,” the insider said in November. Sandringham is Queen Elizabeth’s favorite place to get away — so a Christmas invite here is quite the sign of royal family approval for Ragland. There’s also talk Ragland has been taking nanny classes. Hmmmm, we smell a clever plan afoot. I doubt she's moving to the UK. The UK has very strict immigration laws. I think you're limited to six months with a possibility of an extension of a few months. I'm sure the BRF could pull some strings if they wanted to but I doubt they would want to raise a ruckus over it. Our hunch? Prince Harry will see to it that Ragland may stay as long as her daughter wishes, visa or no visa. And if they “hire” her as a nanny, well, that’s a smart loophole we totally support.